In this age of Snapchat, Instagram and general digital advancement, is email too old-school to contribute to your company’s success? Though a few years ago, headlines heralded the death of email, studies indicate that email is BACK and marketing automation offers a way to leverage email in a way that requires less time but gives more consistency. Before we dive into the advantages of marketing automation, we need to look at what is making email marketing successful today and why you should consider increasing your email marketing budget. According to Econsultancy, from 2012 to 2016, sales that were attributed to email marketing rose from 18% to 23%. The percentage of marketing budget money designated for email marketing rose from 14% to 15%. These numbers indicate that companies should think about giving more money to email marketing, and if no automation is applied, they may be underutilizing the medium regardless of their spend. Overall, email marketing is estimated to have a return of over $40 per dollar spent, and of nearly 2800 marketers polled by Litmus, 46.5% think that ROI will be even higher by 2020. When coupled with other mediums, such as social media, email marketing is even more effective. According to Salesforce Marketing Cloud, customers who had seen a Facebook ad AND opened an email were over 20% more likely to purchase. 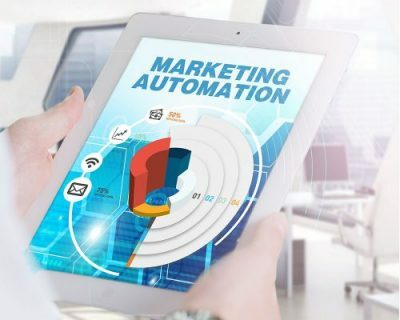 So Why Do You Need Marketing Automation? These are just a few indications that we need to be more interactive with our current and prospective customers via email, and marketing automation allows us to segment our clients, so they get the news they are interested in, at the time they are most likely to be engaged, and at the frequency they prefer. Our customers appreciate receiving helpful and relevant information, and keeping in touch with them is important. If they trust us, they are more likely to purchase from us when they need the goods/services we offer. With marketing automation tools, companies can plan full email campaigns with automated follow-ups based on customer responses, and let them roll out smoothly on set schedule. This type of campaign leaves companies’ hands-free, figuratively, to make personal contact with clients who need specific questions answered, or who are ready to move forward with a purchase decision. ABC Company sends a marketing message out to its entire email list. The email has options: Learn more about X; Learn more about Y; Learn more about Z. The program will allow companies to follow up with customers based on their responses. If the company is a general contractor and the choices are Roofing, Remodeling, and New Windows, the customer will get a personalized response and be directed to a special landing page that allows tracking-so you can gauge results- and meets the customer precisely where they are: the right information at the right time. The customer gets a personal response so you can avoid worries of letting them fall through the cracks if your response time is too slow, which can easily happen if you are a small company whose entire staff is working at various sites during working hours. As mentioned earlier, users who receive reminder emails are more than twice as likely to purchase so that businesses can set up their email campaign flows to follow up with an appropriately targeted message immediately, the next day, and again within a longer time frame. The tracking capability allows companies to study what patterns work best for their particular industries and audiences. With proper adjustments, businesses are armed with the tools and information to ensure the most success for each of their campaigns. Email marketing best practices change: design, timing, and security are all critical factors that could propel your company to higher success. WSI’s Digital Marketing specialists stay on top of trends and will help organize a successful email campaign with marketing automation. For more information, contact us today!